I Am Living for the Drama Over France’s Obsolete ThroneOnly one man can be king of a country that has no king. Prince Harry Is Into Juice NowRIP party-boy prince. So Meghan Markle Didn’t Ban Prince Harry From Hunting After AllAre the British tabloids trying to drum up more royal drama? Here’s How the Royal Family Spent ChristmasAs far as we know, there were no fights or tears. Why Isn’t Meghan Markle’s Mom Spending Christmas With Her?Queen Elizabeth apparently invited her last month. Is Prince Harry Giving Up a Beloved Pastime for Meghan Markle?He won’t be participating in his family’s annual Boxing Day tradition. The Best Books to Buy for Every Type of FriendWhether they’re obsessed with the royals or just want a good ghost story. Meghan Markle Covers Up in Prince Harry’s Jacket Following ‘Wardobe Malfunction’A conservative choice, following her bold outfit earlier in the day. Japan’s Princess Ayako Gives Up Her Royal Status and Marries for LoveShe married a commoner on Monday, in a small ceremony at the Meiji Shrine. 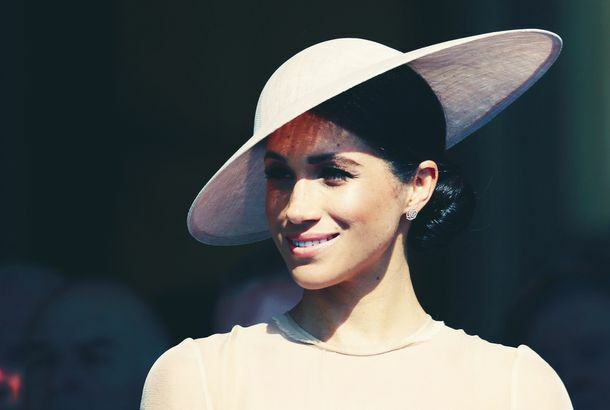 Meghan Markle Talks About the Importance of VotingThe duchess gets political in talking about the suffragist movement. Meghan Markle and Prince Harry Are Already Planning Where to Raise KidsThey don’t want to be in the city. Prince Harry Really Loved Meghan Markle’s Wedding Day MakeupHe couldn’t stop thanking the makeup artist, Daniel Martin. The Palace Is Reportedly Holding Emergency Meetings About Meghan Markle’s FatherThe Queen may even have to get involved. MTV’s Royal World Will Be an Aristocratic Real World SpinoffGive us all the viscounts and baronesses. Nick Jonas and Priyanka Chopra Reportedly Visited a Royal Country HomeThey reportedly went to Meghan Markle and Prince Harry’s country home in Oxfordshire. Meghan Markle’s Dramatic Father Says She Got Her ‘Attitude’ From Her MotherThis man will never go away. Prince Harry Apparently Barred Meghan Markle From Wearing a SuitA blow to the former Suits star. Kensington Palace Releases Adorable Photo of Prince George On His BirthdayThe little prince turns five today. Meghan Markle Is Reportedly Frustrated She Can’t Comment On All Her Family DramaShe apparently can’t tell her father to stop talking to the press. Did a Malevolent Witch Make Duchess Camilla’s Birthday Cake?What was the motivation behind these dried carrot fingers? 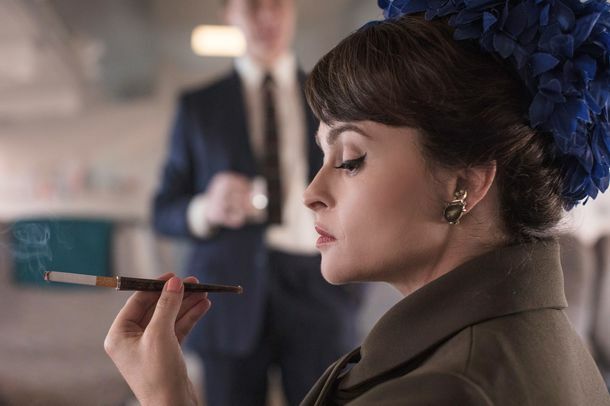 The First Pic of the New Princess Margaret of The CrownHelena Bonham Carter and her cigarette take over the role. Senator Accidentally Tweets That Meghan Markle Has an Abortion OpinionSorry. She’s sorry. She’s trying to delete it. Meghan Markle Wore Lady Gaga’s Favorite DesignerShe finally picked something designed by an American. How Much Is Meghan Markle’s Royal Wardrobe Worth?Her wedding dresses make up the majority of the sum. Meghan Markle Took Serena Williams to Watch the Princes Play PoloThe two are close friends. The One Weird Food Meghan Markle Can No Longer EatAnd it’s all because of the queen. Do You Think Anyone at Royal Ascot Knew Meghan Markle’s Name?Apparently she didn’t wear a name tag. Do We Finally Know Where Prince Harry and Meghan Markle Honeymooned?The location would make sense for them. This Little Girl Was Not Into Prince George’s Singing VoiceAll eyes were on Queen Elizabeth’s great granddaughter Savannah Phillips at Trooping of Colour. Meghan Markle’s Coat of Arms Is Inspired by CaliforniaAnd also maybe her blog. The Royal Wedding Cake Baker Had Nightmares About Frosting Before the CeremonyBehind the scenes of Claire Ptak’s cake prep on the big day. What Will Meghan Markle Have to Give Up Now That She’s Royal?Royal life requires some sacrifices. Why Oprah Had to Change Her Royal Wedding Dress Last MinuteShe almost committed a wedding faux pas. How Meghan Markle and Prince Harry Picked Their Royal Wedding CellistThe pair first heard him play last summer. Prince Harry and Meghan Markle Share Their First Kiss as Husband and WifeThey’re officially married! Watch the Royal Wedding Bishop’s Impassioned SermonHe evoked the words of the Reverend Martin Luther King Jr. to speak of the power of love. Kate Middleton Wears Yellow Alexander McQueen to the Royal WeddingThe Duchess of Cambridge gave birth not even a month ago.